On 27th October, Hôtel des Ventes de Monte-Carlo will hold a magnificent sale of antique and modern jewellery. Over 500 lots consigned from the estate of an antique shop will be going under the gavel. 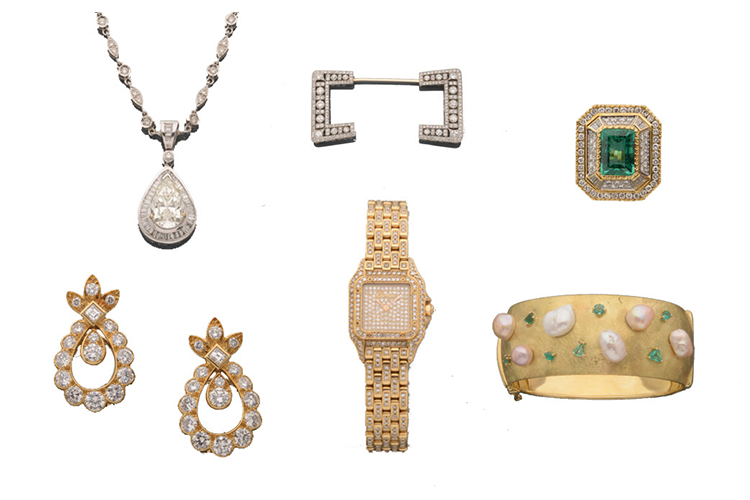 The experts at Arnaud Chantal Beauvois and Hôtel des Ventes de Monte-Carlo have been busy ensuring it is an exceptional sale which includes antique jewellery, modern jewellery, signed jewellery, diamonds and coloured stones. More than 500 pieces will soon be in the hands of their new owners: Art Deco jewellery, pieces from the 1940s and 1950s, cultured pearl necklaces, Auvergne crosses and crosses of Saint-Lô, cameos, gold chains, needle cases, tie pins, charms collection are just a few to mention that will be coming up in the sale. There are also lots to excite coin enthusiasts as twenty old coins will also be on sale. Finally, Jaeger LeCoultre, Breguet, Longines, Cartier, Van Cleef & Arpels are among the luxury names in watches which will be up for bidding. Check out Hôtel des Ventes de Monte-Carlo on Barnebys here.